This is the window for type of employment for teachers. For a description of the buttons please scroll down. 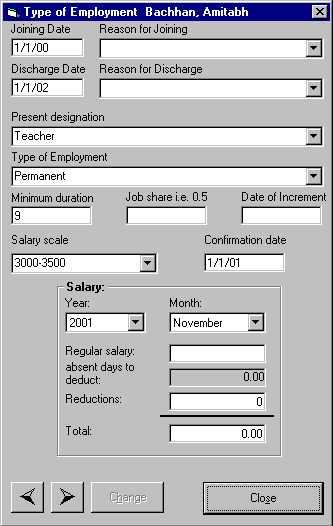 : You can browse details of type of employment of previous teacher. : You can browse details of type of employment of next teacher. : You can make changes in type of employment of teacher.